« What’s Worse Than Flying to Afghanistan? The reason for the confusion in the name? Well, it’s probably even more confusing to explain. Ag Field Day (the Ag part standing for Agricultural) had been held each year since 1906. 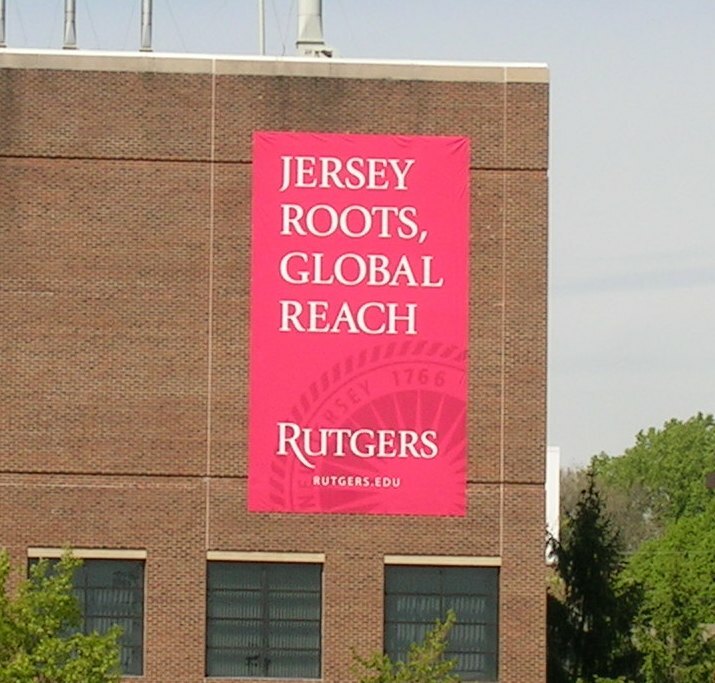 For much of that time, it took place on the Cook Campus of Rutgers University. 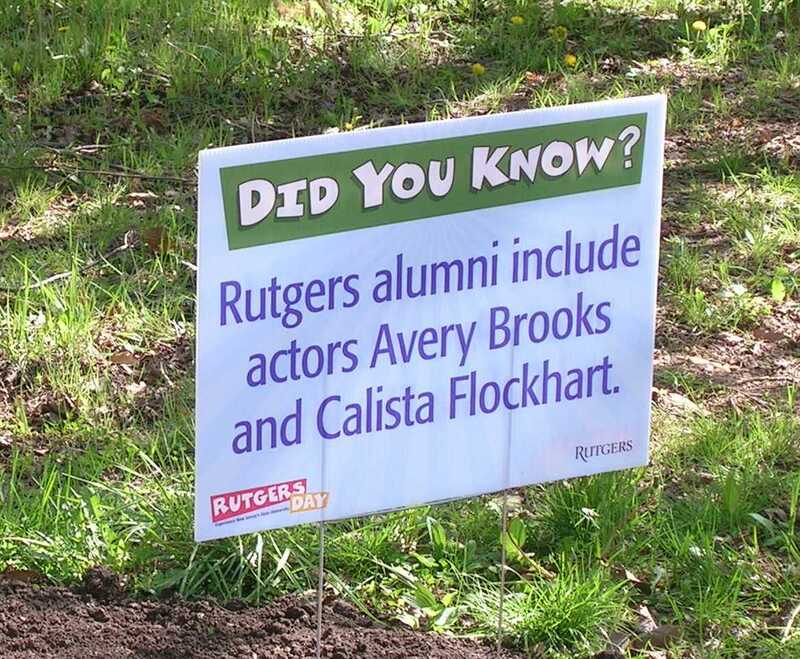 Starting last year, the powers that be decided to make the event a university-wide festival called Rutgers Day. But over 100 years of history doesn’t just get absorbed, so the day is still referred to by its original name. I met up with some friends, who brought their three dogs. It seems as though almost everyone who goes brings at least one dog. 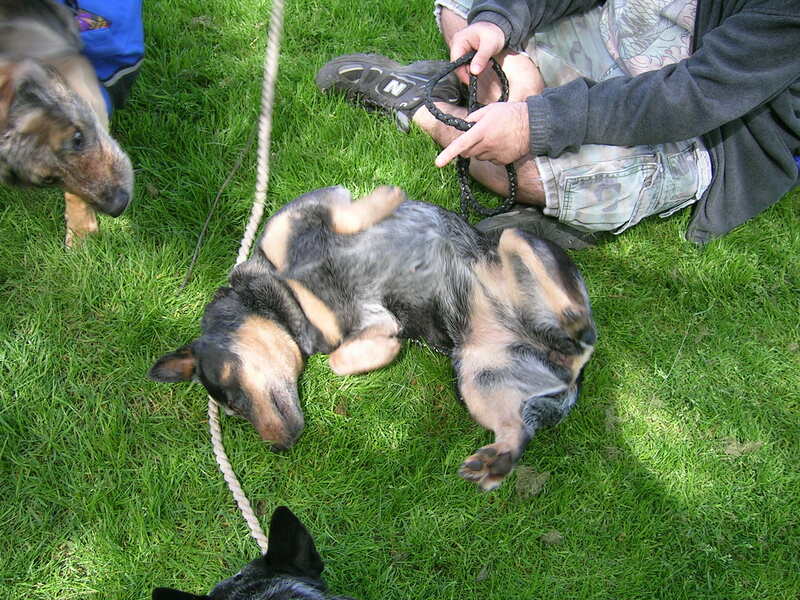 As you can see in the picture below, the three cattle dogs all decided to roll around in the grass. Though this was beyond adorable, they were apparently rolling around in some crap or something. How cute. Aside from all the dogs, there are plenty of animals out on display. The Rutgers University farm is proud to show off its horses, sheep, goats, and cows. And those animals are proud to poop all over the place for dogs to roll around in. Ag Field Day is also the sight of a massive plant sale. You can buy any type of herb, vegetable plant, flower, or tree imaginable. A few years ago, I even bought a Venus flytrap! This year, they had a couple different types of carnivorous plants, but the flytraps were already gone. Another highlight of Ag Field Day is the food. State-fair types of vendors serve all kinds of food products, including all those foods that are served deep-friend and/or served on a stick. Aside from these carpet-bagging carnival vendors, you can buy ice cream made on campus, with milk from the cows whose crap you just stepped. It’s the circle of life. More like "Who?" and "Whatever happened to her?" 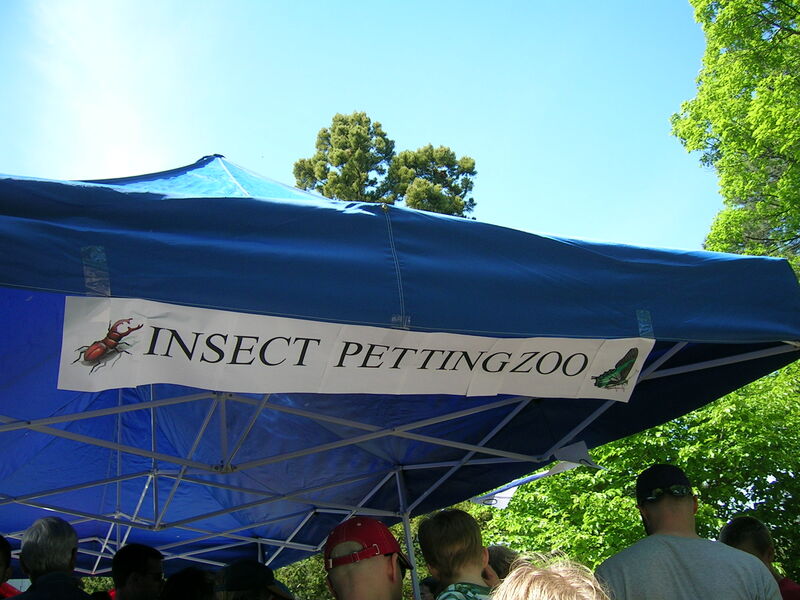 Is there any three-word combination that’s better than “Insect Petting Zoo”? Probably, but I’m too lazy to find one. 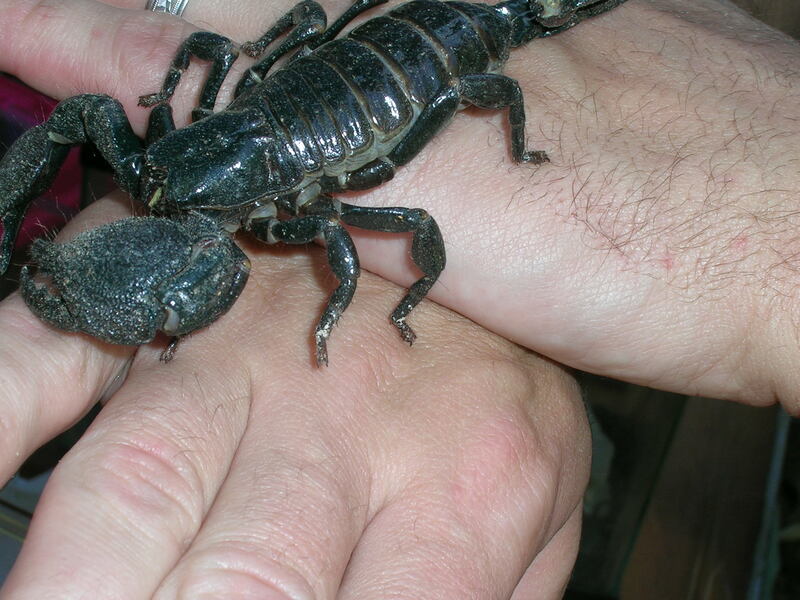 Anyway, children, adults, and bloggers in their mid-20s are more than welcome to touch a variety of cockroaches, leeches, scorpions, and other creepy stuff. This entry was posted on April 29, 2010 at 9:48 pm and is filed under Rutgers. You can subscribe via RSS 2.0 feed to this post's comments.